SANTA MONICA, Calif. (Oct. 14, 2015) — The Recording Academy®, AEG Ehrlich Ventures, and CBS will honor the remarkable legacy of nine-time GRAMMY® winner Frank Sinatra by presenting “Sinatra 100 — An All-Star GRAMMY Concert,” a primetime entertainment special celebrating the late icon’s 100th birthday. Initial performers announced for the tribute include 17-time GRAMMY winner Tony Bennett, two-time GRAMMY winner Garth Brooks, 15-time GRAMMY winner Alicia Keys, nine-time GRAMMY winner John Legend, three-time GRAMMY winner Adam Levine, seven-time GRAMMY winner Carrie Underwood, and eight-time GRAMMY winner Usher. The live concert taping will be held Wednesday, Dec. 2, 2015, at Wynn Las Vegas’ Encore Theatre. The special will be broadcast in HDTV and 5.1 surround sound on the CBS Television Network on Sunday, Dec. 6, from 9 – 11 p.m. ET/PT. Additional performers will be announced shortly. In close partnership with the Sinatra family, “Sinatra 100 — An All-Star GRAMMY Concert” is the only televised concert special celebrating Sinatra’s centennial. Through the generosity of the family, the concert will feature artists performing instantly recognizable arrangements originally orchestrated for “the Chairman of the Board” by renowned arrangers Don Costa, Gordon Jenkins, Quincy Jones, and Nelson Riddle. The special will keep the honoree center stage throughout the night by integrating tribute performances of Sinatra classics with rare archival footage narrated by Sinatra himself. 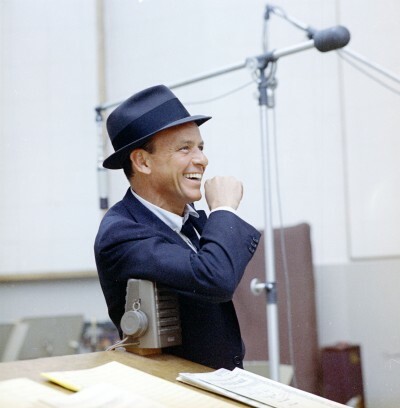 Among Sinatra’s nine GRAMMY wins are three for Album Of The Year for Come Dance With Me (1959), September Of My Years (1965), and A Man And His Music (1966). Additional recognition from The Recording Academy includes a Lifetime Achievement Award, GRAMMY Legend Award™, and 13 recordings inducted into the GRAMMY Hall Of Fame®. “Sinatra 100 — An All-Star GRAMMY Concert” is produced by AEG Ehrlich Ventures, LLC. Ken Ehrlich is the executive producer, Lou Horvitz is director, and David Wild and Ehrlich are writers. Established in 1957, The Recording Academy is an organization of musicians, songwriters, producers, engineers, and recording professionals that is dedicated to improving the cultural condition and quality of life for music and its makers. Internationally known for the GRAMMY Awards® — the preeminent peer-recognized award for musical excellence and the most credible brand in music — The Recording Academy is responsible for groundbreaking professional development, cultural enrichment, advocacy, education, and human services programs. The Academy continues to focus on its mission of recognizing musical excellence, advocating for the well-being of music makers and ensuring music remains an indelible part of our culture. For more information about The Academy, please visit www.grammy.com. For breaking news and exclusive content, follow @TheGRAMMYs on Twitter, “like” The GRAMMYs on Facebook and join the GRAMMYs’ social communities on Google+, Instagram, Tumblr, and YouTube.